Throughout the weekend and today, many of us have attempted to put together a complete, factual understanding of the decisions and timing that led to the design, production and distribution of the Alpha Delta Pi t-shirt that was the subject of my message to you on Friday and which has created so much interest and concern on campus and throughout much of the country over the weekend. I want you to be knowledgeable regarding the details as we presently understand them, so I'm providing this update. Of necessity, this is a lengthy message. First, I’ve focused on the factual information, then I’ve followed with some personal commentary. The process began several weeks ago when the Alpha Delta Pi chapter created a t-shirt design for one of the its events. An Internet search for "vintage Alabama maps" led to a stylized map of Alabama. The chapter reports that they did not notice the full details of the image. In combination with references to the event, the sorority and Samford University, the image was then used to achieve the overall t-shirt design. Next, the chapter submitted a Google link for the image to South By Sea LLC, an apparel vendor. The company completed the design of the shirt. The chapter then asked the company to proceed with licensure approval. At some point in this process, a proof of the shirt design was reviewed by the chapter leadership and at least one chapter alumnae advisor. Chapter leadership has explained that this proof was a small-scaled image and that they did not scrutinize it for specific details. The Alpha Delta Pi International Sorority, based in Atlanta, utilizes a firm known as Greek Licensing (Affinity Marketing Consultants) for licensing approval of shirts and other sorority-related materials. The design for the shirt was submitted through normal channels and was apparently processed by the Greek licensing company without objection. At the same time, South By Sea submitted the design through Learfield Licensing Partners, Samford’s licensing agency. Because the t-shirt included a reference to Samford, Learfield required the specific approval of the University. South By Sea submitted the proposed design late on April 19 via the Learfield online approval process. The next day, members of Samford’s Marketing and Communication staff reviewed the design and identified the racially insensitive imagery. While the images were small as they appeared on the screen, staff members could identify the image of an African-American person holding a slice of watermelon. A staff member in the Office of Marketing and Communication contacted a staff member in the Office of Greek Life to verify that the design should be disapproved. The Greek Life staff member agreed. On that same day, April 20, the staff in the Office of Marketing and Communication clicked “rejected” on the “design approvals” page of the order. Additional problems in the process occurred at that point. According to a representative of the apparel vendor, a clerical error was made by its employee who received Samford’s disapproval of the shirt design. Instead of checking "rejected," the South By Sea employee registered the design as "approved." This was a crucial error because the shirt then went into production. The president of South By Sea communicated with Learfield on Friday afternoon his apologies for the mistake. As of Friday afternoon, we have removed South By Sea from Samford’s approved vendor list. 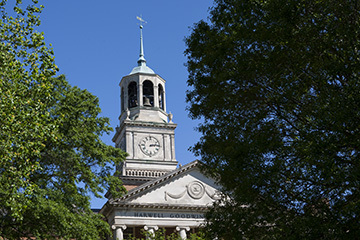 Under normal circumstances when a design is disapproved by Samford, the vendor would notify the client (in this case, the chapter) of the disapproval. Because of the error in coding, the chapter was not advised of the disapproval. I should add at this point that, even though the process calls for communication between the vendor and the chapter, especially under these circumstances, the Samford staff should have taken the extra step of explaining to the chapter the racially-insensitive imagery that resulted in the rejection of the design. I deeply regret that this additional measure was not taken. However, to be absolutely clear on these facts, our staff definitively disapproved the shirt design on the grounds that it was racially insensitive and communicated these instructions to the vendor. The shirt should never have been produced. Approximately 300 shirts were ordered for delivery. The shirts arrived on May 6 and were then made available to the membership, without recognition of the racially-insensitive imagery on the shirts. This lack of perception does not excuse the offense that it caused. On the morning of Thursday, May 12, our Director of Diversity and Intercultural Initiatives received information from one of our students regarding the details of the shirt. Questions were quickly raised with our staff members in Marketing and Communication and Greek Life and surprise was noted because the design was understood to have been disapproved. Two lines of communication then began. First, the Marketing and Communication staff contacted Learfield to determine what had happened. Second, a Greek Life staff member contacted the chapter president for information, encouraging her to contact her chapter advisors as soon as possible. Later that evening, a photograph of the shirt was posted to social media by individuals not affiliated with Samford. Overnight, the story quickly gained traction across multiple social media platforms. At 6:27 a.m. on Friday, May 13, I first learned of the situation from Dr. Phil Kimrey, our Vice President for Student Affairs and Enrollment Management, outlining his concerns. He forwarded to me via e-mail a screen shot of the shirt. I asked for the matter to be addressed immediately, stressing that we should work with the local chapter and the international office of Alpha Delta Pi to insure that apologies were issued without delay. Furthermore, I recognized that, due to widespread circulation on social media, the incident would become a significant news story in a very short period of time. At 7:30 a.m., we began the annual prayer breakfast for graduating seniors. With the knowledge of this emerging story, you can imagine that it was difficult for me to maintain composure during that service. Shortly after 9:00 a.m., several staff members convened to discuss the details that were known at the time and to develop a statement for release to students, employees and the media. I joined the meeting after it had begun, but I was not able to stay for its entirety. A sense of brokenness pervaded the meeting. Throughout this time, we were in direct contact with the international president of Alpha Delta Pi, updating her with all details as we knew them and urging all involved to issue apologies as soon as possible. “As we proceed with commencement ceremonies today and tomorrow, my heart is aching with developments of the past few hours. If you are unfamiliar with the details, please let me offer them to you. “Shortly after 6:30 a.m. today I learned that a t-shirt that was created and produced by Samford’s Kappa chapter of the Alpha Delta Pi sorority, featuring graphic art in the shape of Alabama, with an illustration of an African-American person in one corner of the shirt, holding a slice of watermelon. I think that I do not need to say that this is a violation of our core principles at Samford, but I will state it anyway: this is an abhorrent, disrespectful expression that is completely inconsistent with our core principles. “This morning we have communicated the full extent of our frustration to the leadership of the local chapter and to the international office of Alpha Delta Pi. Our values process will determine any possible actions taken regarding the chapter or any individuals involved in the design of the shirt. “My understanding is that the design of the shirt was rejected by members of our university staff during an approval process, but that the shirt was printed without our knowledge. We will, of course, conduct a thorough review of that process. “There is no doubt that this graphic illustration on a sorority t-shirt does not capture the thoughts of our entire campus, but there is also no doubt that each of us associated with Samford bears responsibility whenever disrespect appears. It is a poignant, gripping reminder that, regardless of progress made, additional progress awaits us. At 11:49 a.m., Dr. Garry Atkins, Assistant Vice President for Student Services and University Values Advocate, advised the chapter leadership that, due to the investigation that was underway, the chapter was placed on interim suspension and that all activities should cease until further notice. Dr. Atkins continues his review of the chapter according to our established guidelines. “We extend our sincere apologizes for our mistake. In selecting the t-shirt, we failed to focus on the specific images in the design. We are horrified by our oversight. Had we recognized what the design details depicted, we would never have purchased the shirts. Upon discovering our serious error, we immediately informed our members not to wear the shirts and are in the process of collecting them all so they can be destroyed. We are committed to ensuring this never happens again." At 2 p.m. on Friday a few of us met with the leaders of our black Greek-letter organizations, our Black Student Union, the Samford Black Alumni Association and faculty, staff and students of color to hear their concerns. Their pain was obvious. At 4:30 p.m., Samford administrators met with student leaders and alumnae advisors of Alpha Delta Pi’s Kappa chapter to discuss the gravity of the situation and how this incident had damaged our sense of community. The meeting also was used to confirm as many facts as possible regarding the creation and distribution of the shirt. Samford administrators stressed the importance of a timely apology from the chapter, and they learned that a formal apology was about to be made. At 5:15 p.m., representatives of the chapter, including advisors, met with several of our students of color as a first step toward reconciliation and healing. An honest, painful dialogue began in the room, and this exchange will continue. Students of color, in particular, noted the extent to which this episode, happening on commencement weekend, would affect their memory of Samford for the remainder of their lives. Throughout this message I have highlighted a number of gaps in the process that could have prevented the production and distribution of the shirts. First, students, local advisors and licensing representatives who were involved with examining the stylized map of Alabama could have looked more closely at the drawing to see that it featured racially insensitive and stereotypical images. Second, the vendor could have performed to a much higher standard, registering Samford's very specific disapproval, rather than incorrectly approving the shirt and sending it into production. Third, our own staff could have taken the extra step to reach out directly to the chapter to make sure that members knew of our specific disapproval of the design, explaining to them why it was so wrong. Many accounts in the media have concluded that the women within the chapter deliberately produced the shirt themselves, despite the disapproval by our staff in Marketing and Communication. This assertion is false. In fact, the company, South By Sea LLC produced the shirts, in contradiction to our very specific rejection of the design. Moreover, there is presently no evidence that Samford’s disapproval of the t-shirt design was ever communicated to the chapter. Also, in my message to the campus on Friday morning, I mentioned that I was “repulsed by the image.” Some in the media and elsewhere have inaccurately construed my statement as reflecting that I was repulsed by our students. If you know me and know of my concern for our students, you will readily understand that nothing could be further than the truth. I care deeply about all of our students. However, it is true that I found the image to be very offensive. But none of these gaps or mistakes that I’ve outlined here offer appropriate explanations for how we, as a community of people who aspire to be Christ-followers, could have failed so consistently to detect items that are commonly understood to be symbolic of racism. The gaps, miscues and mistakes pale in comparison to the larger problem that we must confront. I have tried to analyze my own range of emotions in response to this crisis and I've begun to achieve a measure of clarity. First, I was incredulous. I simply could not believe that it had happened, that a t-shirt design that featured such offensive images had been produced by such an honorable, admirable group of women as those affiliated with Alpha Delta Pi. Beyond incredulity, as I came to grips with the fact that the shirts existed and that the illustrations were clearly visible, I was angry, and I must admit that I was caught in anger for much of the day on Friday. I knew that my anger was wrong, inconsistent with my own principles, and potentially destructive, but I could not escape it. Throughout the day as I was required to preside as an apparently happy college president over three commencement ceremonies for business, health sciences and law, I never in my life felt so remorseful as I did during those moments. It was a bizarre day, which stretched into a very long night. Shortly after 3 a.m. on Saturday, as I wrestled with my anger, I realized that my frustration was largely directed to my own responsibility for these circumstances, and not to any other individual or group. I was the focus of my own frustration. How could I have so seriously misjudged the climate of the campus that hundreds of people could have failed to notice the implications for their fellow students? By Saturday morning, the day of our last two commencement ceremonies, by the grace of God, my attitude began to move from anger to resolve. I have resolved that all of us can learn from this experience and, as a result, we will be a stronger and more perceptive community. If you are reading this message and you are white, you may be thinking something along the lines of, “I understand that this was a racially insensitive image, but it is such a small thing, an artifact of the past, and everyone understands that it is confined to the past.” But it is precisely that attitude by those of us who are white, that makes it such a big thing to a person who is black. A couple of weeks ago, an African-American male, a retired executive, sat in my office and cried as he recounted the reception at which he was honored as he received the highest promotion of his career. The reception featured watermelon. None of the white executives noticed, but the moment deprived this black executive, attaining the pinnacle of a lifetime, of the joy of his accomplishments. Years later, the hurt was still deep enough that he could not conceal his emotions. I know many of the young women who are members of the Kappa chapter of Alpha Delta Pi. I know many of their parents. I know the advisors. I know them to be honorable, sincere, intelligent people. I believe them when they say that, upon understanding the implications of the image on the shirt, they were horrified. I also believe them when they say that they are now prepared to lead the way in helping Samford University become a far better place than it has been. Since Friday I have received more e-mail messages than I can count, many from African-Americans, aching from the fact that Samford people, associated with a university claiming Christ, could be so seriously misguided in navigating the most basic human interactions with other people who are also made in the image of God. As Christians, regardless of our origins, we know that we are held to a higher standard. As noted throughout this message, there are a variety of individuals, organizations and businesses that must share in the blame for this unfortunate incident. The greater reality, however, of exactly how this happened is more pervasive. As the president of Samford, I must accept the largest measure of fault. Moreover, each of us must shoulder the responsibility for making sure that our hearts, minds and actions are attuned to racially offensive words, conduct and images so that they are consistently rejected on this campus and by our people. I chose this place because I believed in it and in the people who are drawn to it. The events of the past three days have not changed that belief. But I am fully resolved that we must experience a new understanding, coming from the depths of our souls, regarding the ways in which we must love each other. In the days, weeks, and years ahead, we’ll be pursuing specific steps to achieve that goal, seeking God’s guidance as we lean on each other, regardless of the color of our skin.